We have seen several iWallet patents so far, but most of them have detailed use case scenarios rather than a digital system ready to be launched using the existing mobile hardware. 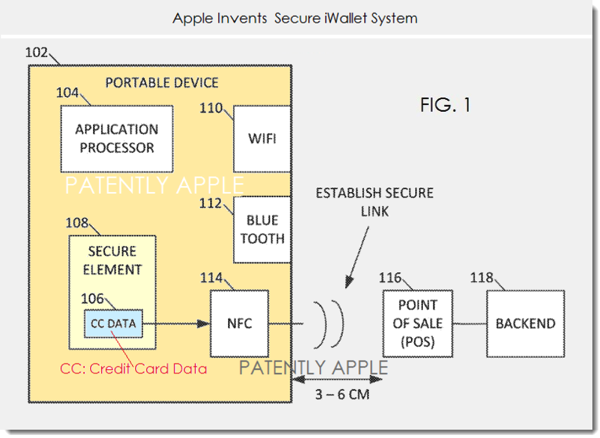 Apple’s patent for a “Method to send payment data through various air interfaces without compromising user data” sheds light on how the company could deploy its iWallet, even with the next-generation iPhone. The US patent application no. 20140019367 was spotted by Patently Apple today, comes shortly after the company began to roll out iBeacon for Apple Stores, and we’ve seen a couple creative ways of using the technology introduced with iOS 7. Fact is, iBeacon may be able to combine the benefits of NFC’s limited-proximity operation and increase the range if it is needed. 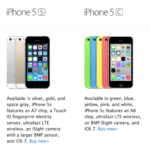 So, what will Apple’s future iWallet system look like? According to the patent, the purchasing handset (iPhone) would connect to a point of sale (POS) using NFC to initiate the transaction process. Beyond that, the device will establish a second secure link using a different protocol, such as Wi-Fi or Bluetooth. The second secure link establishes connectivity with the backend services and will use an alias to identify a purchasing account such as a credit card. Although iBeacon is not directly mentioned in the patent, Patently Apple highlights that Wikipedia notes that iBeacon is a tool that “could enable payments at the point of sale where you don’t need to remove your wallet or card to make a payment”. This makes it a perfect NFC competitor. The patent was originally filed in Q3 2012 and credits Ahmer Khan, Brian Tucker, David Haggerty and Scott Herz as the inventors.